Budoni has a coastline featuring rocky bays, long white sand beaches, colourful granite cliffs and protected pine forests. The crystal clear waters have breathtaking colours rainging from turquoise to blue. 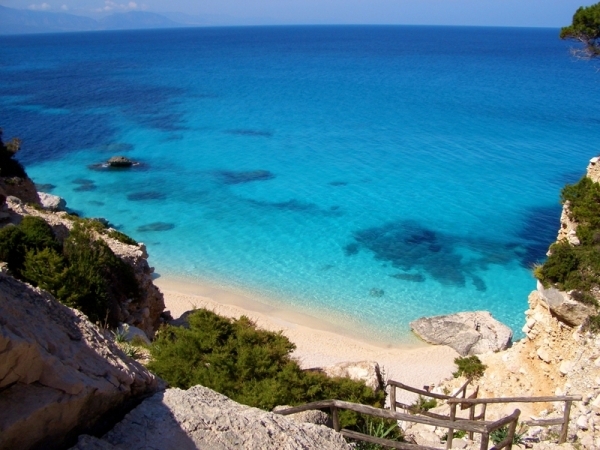 Sailing along its wonderful coasts you can admire some of the most beautiful bays of the Mediterranean Sea: Cala Gonone, Cala Luna, Cala Goloritzè, in the area of Dorgali, have become the preferred destination of numerous turists. The value of the area is confirmed by the recent decision of the European Union to identify the area of 'Golfo Orosei' as a 'Site of Community Interest'. This recognition is awarded to locations characterised by the presence of habitats and species of great importance. From the north, the beach called Isuledda is the first to welcome us and also the first of the many 'pearls' we will encounter. 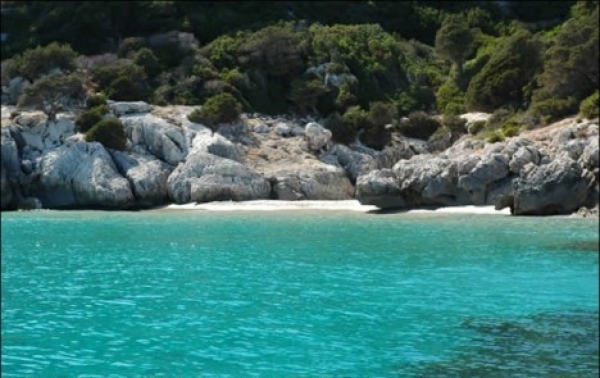 And infact, just after Cala d'Ambra, we reach the beach of 'La Cinta', the famous beach near the town of San Teodoro. 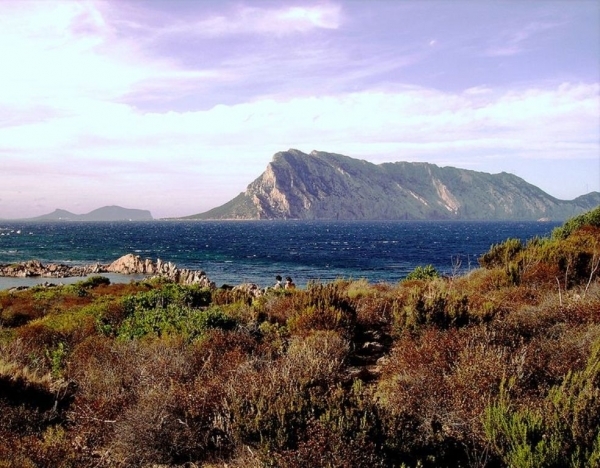 The flow of turist in this area is drawn by its natural beauties which are now safeguarded thanks to the creation of the 'Protected Marine Area of Tavolara and Capo Coda Cavallo'. 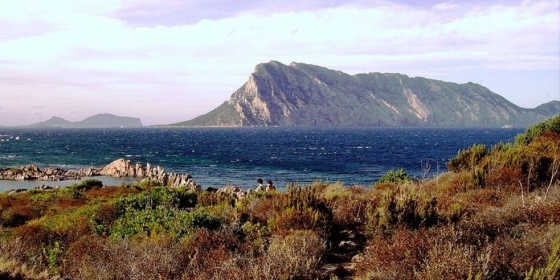 Budoni and San Teodoro are the southern access to the 'Costa Smeralda' and now we know why. After Punta Aldia we find the wonderful beaches of Lu Impostu and Porto Taverna. The latter is know as the "Little Tahiti". 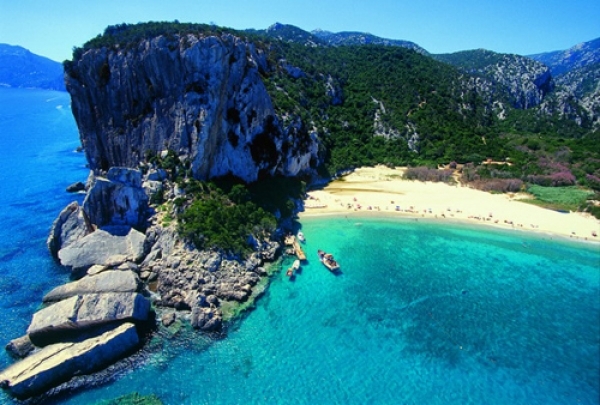 We are now at a few tens of kilometers from Olbia, where we visit the beaches of 'Cala su Pinnone'.